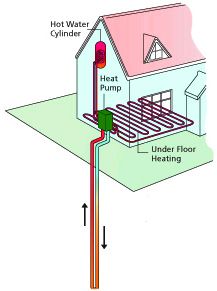 There are several types of heat pumps available. 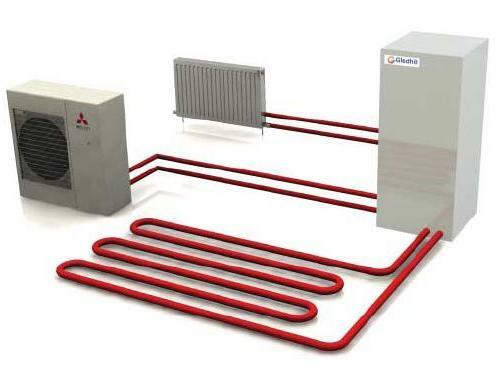 Air source heat pumps extract heat from the air using air conditioning technology. 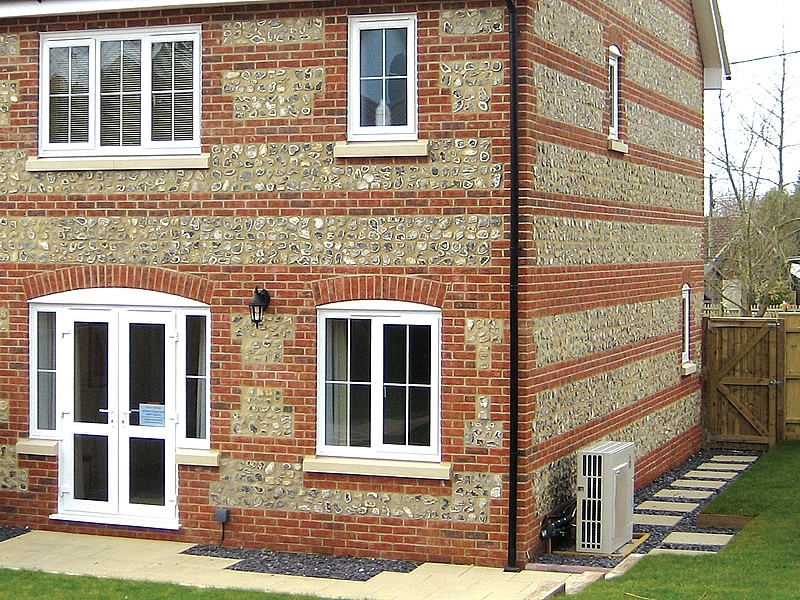 They are relatively easy to install and can offer reduced running costs for your property. The heat pump will have an external unit which can sit outside your property on a patio or concrete base. 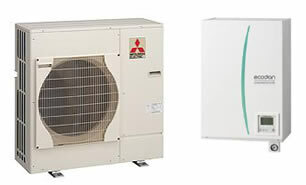 The heat pump includes two main moving parts - a fan and a compressor. The fan blows air through the heat pump and a refrigeration circuit containing refrigeration gas then extracts the heat from the air and uses it to heat the water to heat your property. Pipes will then run into your property to carry the hot water to heat your house and hot water. In monoblock heat pump systems, the external unit heats hot water which then runs into your house to heat your hot water and the property. The hot water from the external unit is normally fed to a hot water cylinder. This is typically located in an airing cupboard or a garage. With split systems, refrigeration gas is carried in the pipes rather than water. This allows the external heat pump unit to be located further away from the property. An indoor unit called a "hydrobox" then receives the hot refrigeration gas and contains a heat exchanger which it uses to heat the hot water running round your heating and hot water circuit. 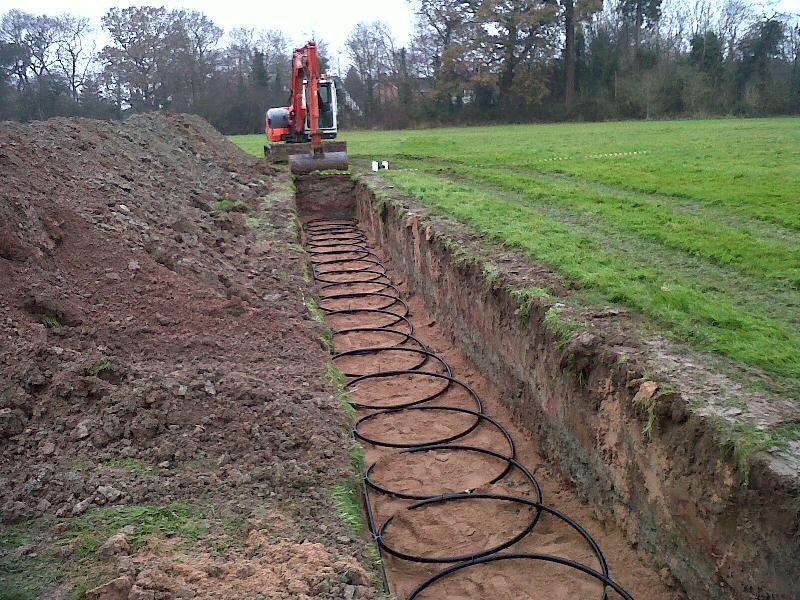 Ground source heat pumps are more involved and expensive to install than air source heat pumps. They extract heat from the ground by using either boreholes or "slinky" pipes which snake back and forwards inside a trench. At HeatPumps4Homes we will work with you to select and design the best type of heat pump installation for your property and budget. 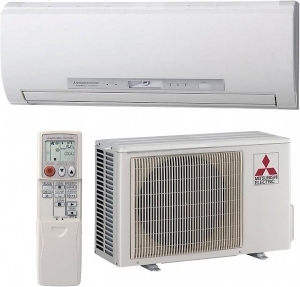 Air to air heat pumps blow warm or cool air into a room normally via a wall mounted fan unit. An outdoor heat pump unit captures heat from the air and transfers it to a wall mounted fan unit. The fan unit then blows out warm air into the room. They are ideally suited to heating one room, eg a conservatory. As they blow out warm air from a fan unit, they can rapidly heat a room.